Just wanted to take a quick second to share some good news. After having most of my titles (novels and shorts) available exclusively on Amazon.com and their Kindle platform, I'm excited to announce that starting today my novel ROUGH DRAFT and my short story THE PHONE are both available through Barnes & Noble on their fantastic Nook platform. Over the next few months the rest of my library will also become available, and I'll make sure to let everybody know. I'm very happy to be sharing my work with a whole new audience! Season's Greetings, Folks! It's time for the 2012 Holiday Blog Hop, brought to you by some of the fantastic authors of Indie Writers Unite (myself included!). From December 10-14, each author participating will be giving away some great prizes on their own blogs which you can enter to win. But don't forget about the GRAND PRIZES you can also become eligible for right from the 2012 Holiday Blog Hop homepage -- including TWO KINDLE FIRE HDs! Instructions on how to enter all the prize drawings can be found on the respective blogs. So go check out some great authors, some great books, and get your chance to win some great prizes! Good Luck! Twitter: Tweet to me anything you want (@mrobertsonjr), but be sure to include the hashtag #HolidayBlogHop2012 -- I'll DM the winner on December 15th. Facebook: Like my Facebook fan page (facebook.com/mrobertsonjr) and post this message on my wall, "All I want for Christmas is an Amazon gift card!" -- I'll send a message to the winner on December 15th! That's it! Good luck to everybody, and I hope you all have the happiest of holidays! Well, today is Halloween and the last day of my week-long free book giveaway. So go grab your downloads now if you haven't already! 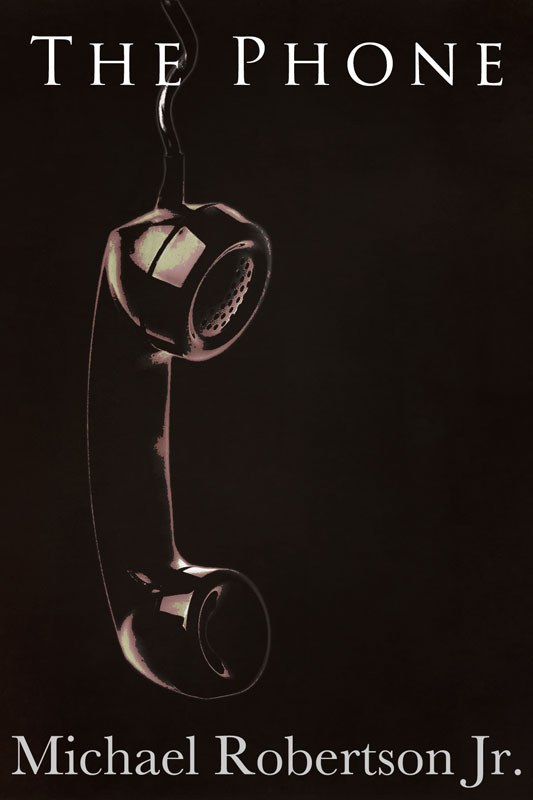 Also, I'm launching a new short story, THE PHONE. ...not to mention the Anderson's own home. Will you answer The Phone? THE PHONE is on-sale on Amazon NOW for $1.49. But... Like I said in my Halloween Announcement blog post: For all of you faithful visitors, twitter followers and Facebook Fans, I'm making THE PHONE available as a FREE DOWNLOAD right here on my site -- in this post, in fact. It won't be available for free forever, so make sure to grab it while you can, and tell your friends! Below you can find links to download both a PDF version of the story, as well as a .mobi file for you Kindle and Kindle App users. I hope you all enjoy, and thanks to everyone who took part in the book giveaway.